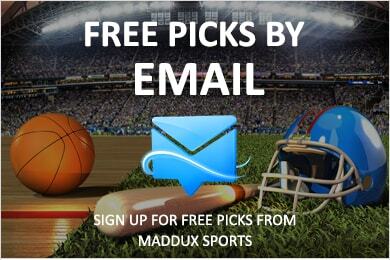 Bet on These Props At 5 Dimes Sportsbook and Collect a 20% Signup Bonus! Wisconsin looks to improve on a 9 win season last season. The Wisconsin Badgers went 9-4 in 2013 with losses at Arizona State and Ohio State, at home against Penn State, and to South Carolina in the Capital One Bowl. There weren’t really any signature wins as they lost to almost every good team they played except for BYU. Wisconsin doesn’t return a lot of starters but they are still favored to win the Big Ten West Division, and should battle Nebraska for that title all season. Wisconsin had a top 10 rushing attack on offense averaging 284 yards per game. However, the passing attack averaged only 197 yards a game. The Badgers scored 35 points a game. Seven starters return from that unit and the offense looks to improve in 2014. Quarterback Joel Stave injured his shoulder in the bowl game loss last season and was limited in spring practice. Stave will compete with converted safety Tanner McEvoy for the starting job in fall camp. Stave completed 61.9% of his passes for 2,494 yards with 22 touchdowns and 13 interceptions. Stave will have to be much more consistent or he could lose his job. McEvoy is much more mobile and will do some damage with his legs if given a chance. Last season, Melvin Gordon and James White combined for over 3,000 rushing yards and 25 rushing touchdowns. White is now with the New England Patriots. Gordon does return after he had 206 carries, 1,609 yards and 12 touchdowns in 2013. Expect Corey Clement who had 67 carries, 547 yards and 7 touchdowns last year to get most of the carries White had. The top 3 receivers are gone for the Badgers in Jared Abbrederis, Jacob Pederson, and White. Each had at least 39 catches and the trio accounted for 12 of the 22 touchdown catches Wisconsin had last year. No other receiver on the roster had more than 10 catches. The Badgers hope a talented batch of freshman recruits will contribute right away. The offensive line returns five players who have started at least five games. Senior right tackle Rob Havenstein anchors a line that is among the biggest in the Big Ten if not the nation. Wisconsin was sixth nationally in both total defense and scoring defense in 2013 allowing just 305 yards and 16 points per game. Only three starters return from that unit so an overhaul is necessary to keep the defense at an elite level. Expect the defense to be among the fastest in the country as the Badgers are loaded with undersized speedsters. The front seven will be completely filled with new players. SeniorWarren Herring didn’t start much but did get playing time last season. He moves from nose tackle to defensive end. Redshirt freshman Alec James moves from linebacker to defensive end as well. Vince Biegel, Derek Landisch and Marcus Trotter headline the linebacking unit that must replace All-American Chris Borland. All three returning starters on the defense played in the secondary last year. Corners Sojourn Shelton and Darius Hillary and safety Michael Caputo all return to anchor a unit that struggled at times last season but should be much improved with veteran leadership. Kicker Jack Russell made only 9 of 13 field goals last year. True freshman Rafael Gaglianone was one of the most recruited kickers in the country and could challenge for the kicking job. Drew Meyer will punt again but he averaged only 38 yards per punt last season. Kenzel Doe will return kicks and punts again. He led the Big Ten in kickoff return average and even had a kick return for a touchdown in the bowl game. We will find out how good Wisconsin truly is right away as they open the season in Houston against LSU. Then Western Illinois, Bowling Green and South Florida come to Madison. In Big Ten play, the Badgers travel to Northwestern, Rutgers, Purdue and Iowa. Wisconsin hosts Illinois, Maryland, Nebraska and Minnesota. The game against Nebraska November 15 will likely decide who goes to the Big Ten Championship game. I think the Badgers win 9 games this season. They do avoid Ohio State, Michigan State and Michigan though. Our best college football picks are available now for the upcoming season. Don’t miss out on any more winners from the beginning of the season to the Championship game in January.